Size: 6 x 9 ins. Description: 106pp. Set in 16pt Poliphilus type. Printed on Hardy Ends paper. 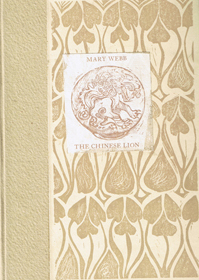 Bound by Mary Parry in green cloth over boards, issued with a printed pictorial dust jacket in red and black. Preliminary pages and first page of text printed in red and black and red and brown. Speckled vream end-papers. Description: 106pp. Set in 16pt Poliphilus type. Printed on Hardy Ends paper. Bound by Mary Parry in full pigskin, stamped in brown and gilt on the spine. Preliminary pages and first page of text printed in red and black and red and brown. Some copies housed in a cloth covered drop-back box. No. of Copies: 15 copies. Comments: Numbered 1 to 15. Signed by Nicholas and Mary Parry. Size: 11.5 x 8.25 ins. Description: 121pp. Set in 14pt Baskerville type. 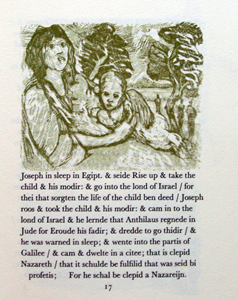 Printed on T. H. Saunders hand-made paper. 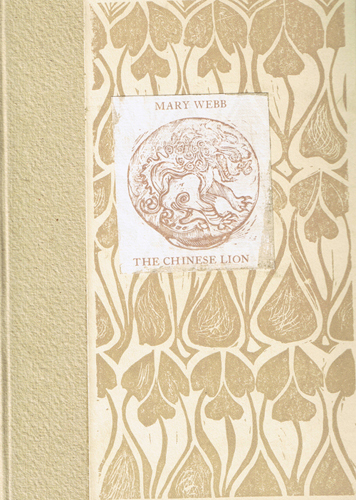 Bound by Mary Parry in white woven linen with a paper title label in green on the spine and an illustrated paper label in green on the front cover. Title-page decoration in blue, title in shades of blue and green. With handcut capitals for chapter headings in different colours. No. of Copies: 140 copies. Description: 121pp. Set in 14pt Baskerville type. 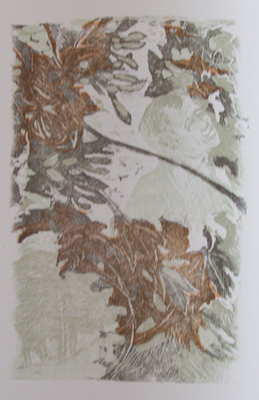 Printed on T. H. Saunders hand-made paper. Bound by Mary Parry in coloured decorative cloth. Title-page decoration in blue, title in shades of blue and green. With handcut capitals for chapter headings in different colours. Housed in a clamshell box. Illustrations: 24 original watercolours by Nicholas Parry. Size: 3 x 4 ins. Description: [35pp.] Set in 10pt Bembo by Bill Hughes. 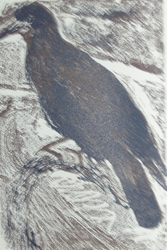 Printed on T. H. Saunders paper. Bound in grey cloth covered boards with grey end papers and a printed label to the front cover. No. of Copies: 00 copies. Size: 5.25 x 7.6 ins. Description:[29pp.] Set in Caslon type. Printed on Zerkall paper. Quarter bound in fawn paper with a printed paper label with decorated cream paper over boards with a printed paper label to the front cover. Dark grey end-papers. Size: 5.25 x 7.25 ins. Description:[20pp.] 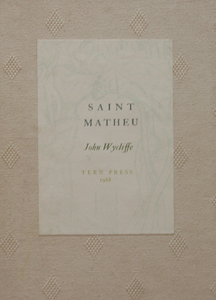 Bound in pale green cloth covered boards with dark green end-papers. 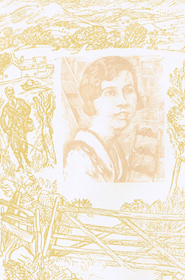 Issued in a printed pale orange dust jacket with titles in red and an illustration printed in black. Illustrations:5 engravings by Nicholas Parry. No. of Copies: 70 copies. 57. The Poems of Taliesin translated by Meirion Pennar. Size: 12.5 x 14.75 ins. Description: [53pp.] Set in 16pt Poliphilus & Blado type. Printed on Antik mould made paper. Bound decorated grey paper over boards with a speckled rough linen spine, with a printed paper label to the spine. Pale grey end-papers. Description: [61pp.] Set in 14pt Jenson type. 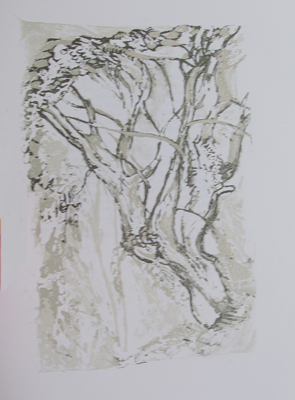 Printed on Roma Sel Sarto paper. Bound in cork covered boards with a grey cloth spine, with a printed spine label. Russet-brown end-papers. Comments: Text printed in red and black. Signed by Nicholas Parry. Bound by Mary Parry and Ludwig Mohr. One copy bound in full dark red morrocco with inlays of orange, brown morrocco and blind embossing in the form of runes was commissioned by the publishers. Size: 9 x 13.25 ins. Description: 113pp. Set in Baskerville type. Printed on T. H. Saunders paper. Bound in Morris design cloth over boards. Dark blue end-papers. Comments: Including 15 specials. Edited by Eric Robinson. Signed by Nicholas and Mary Parry. Description: 113pp. Set in Baskerville. Quarter bound in morocco with Morris design cloth covered boards.